It of course isn’t quite as visually stimulating as an Oreo, Three leaf clover, an actor in a play, or one of the other analogies I mentioned in my previous blog, but it is completely in utterly Biblical and that is the important. The important thing to note within this is that each person of the Trinity remains uniquely a person since they are not blending together into a form of Modalism. They also remain fully God as each person rather than needing to stack up or add up to the status of God as Partialism would explain. Some may try to argue that we have no example of something else that fits a similar analogy in the universe so this seems somehow logically impossible. To that I would remind the skeptic that just because we have no other example of a thing or event we do not say that thing or event does not exist or did not happen. Something being the only thing that has this unique trait is not reason to dismiss its existence anymore than saying because the tallest tower in the world is singularly unique in its tallest attribute it must not exist. The Trinity is wholly unique in being three in one. 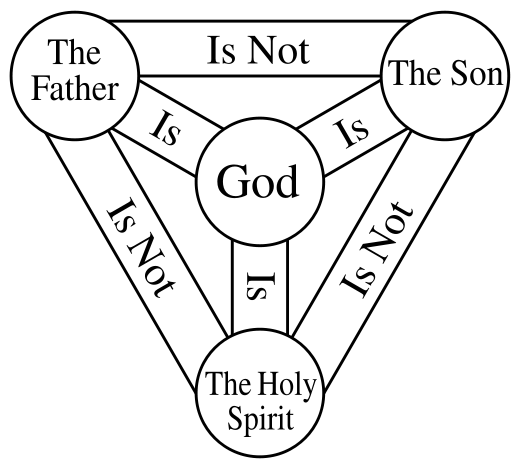 There is nothing else that is three in one but that doesn’t mean the trinity is false. If you still feel this is somehow illogical I would suggest you check out my blog on the topic. Previous Post: Stop using analogies to talk about the Trinity!